Shiseido Ibuki Skincare Line* | Vanity and Everything in Between. Last September 1st, I blogged about the beauty box that I received from BDJ. Their August beauty box was sent out late because the products were shipped directly from Japan. So, it's very forgivable since BDJ always do their best to give their subscribers the best products out there! Ibuki is the Japanese word for inner strength. This newest skincare line is created to adjust to women's various lifestyle. It's designed to put our skin back to its original state. 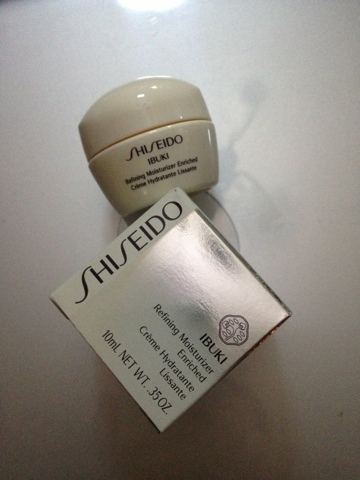 "Shiseido's Ibuki range was designed with the exclusive Shape Memorizing Cell Technology. it's 3-part action of clearing our dead skin cells, stimulating the skin's Natural Moisturising Factor and building back the inner skin membrane, returns cells to their ideal condition and slows down future shrinkage, to boost skin's resistance. The result is booth, beautiful skin that glows with radiance and freshness." The products above are the ones included inside the BDJ Box that I received. They are all trial sized products but it's okay. Shiseido is nevertheless expensive. BDJ Box encourages subscribers to use the products by taking the BDJ Box 7 day challenge. All you have to do is use the products for one week straight then make a review on how the product/s work on you. 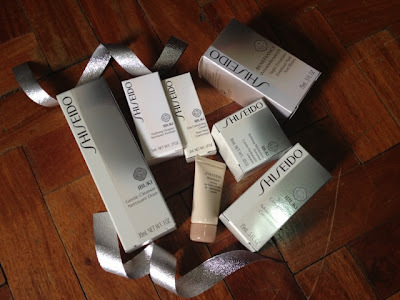 I decided to join the 7-day challenge because I'm really curious about this new skincare line from Shiseido! So, click read more to know my thoughts about this newest skincare line: Shiseido Ibuki! I used the gentle cleanser for one week straight. 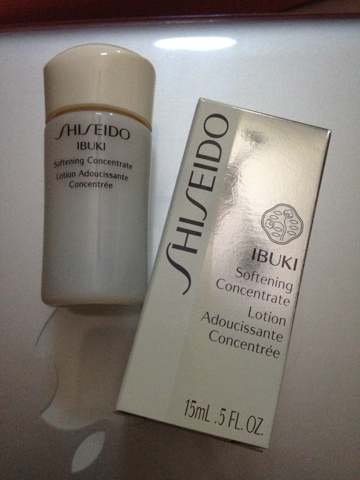 I only used Ibuki skincare line during night time cos I thought it's only supposed to be used during night time! Haha, my bad! I like this cleanser because you don't actually need a lot. A pea size amount of even 3/4 of a pea size amount will be able to clean your whole face! Also, this cleanser get foamy enough with that small amount! 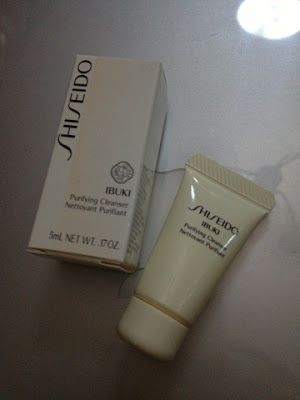 The scent is nothing crazy good but it's still a nice scent - the usual scent of Shiseido skincare line. I use this right after I remove my makeup using a different brand of makeup remover. I'm not sure if the gentle cleanser can also remove makeup without using anything else. I just prefer to use a makeup remover then the gentle cleanser to make my face extra clean! moisture. 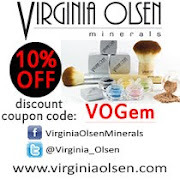 Best used once a week"
This has got to be my favorite product among this skincare line! When they say micro-granules, they really mean micro! I can't see the granules at all but you can totally feel it once you rub this on your face! Amazing! Just like the gentle cleanser, you only need a pea size amount of this product and it can clean your face. It gets foamy as much as the gentle cleanser and has the same scent. I like it so much that I want to use this daily on my face. But the instruction says to only use this once a week. Also, I only got 5ml of this so it's very very precious! I dare not even try to use this daily cos I can't fathom the thought of buying a cleanser for PhP1,495. Thank goodness for sample sizes! 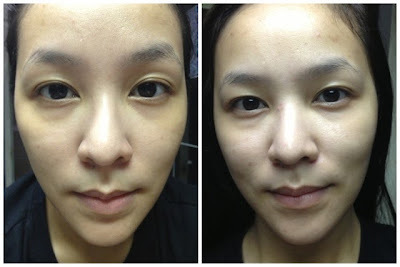 benefits and get glowing skin"
This product confused me at first because of its texture. Shiseido's toners are called softener. But when I opened the bottle to get some product, I had difficulty as the texture is gel! It's the first time that I have encountered a gel toner! I like how this feels on my face. It keeps my face hydrated. I feel my face getting cooler like there's water but there isn't. Haha! 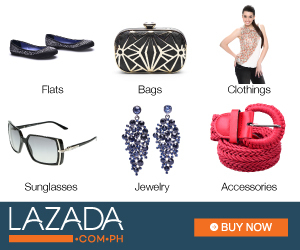 eyes and see them become more vibrant." For a cream, I find this to be a bit watery. It's not as thick as I hoped it to be. The color of the cream is salmon (to me) which could pass as a concealer. This does brighten by under eyes but not enough to cover its darkness. I use a veeeeery minimal amount of this product as I only have a little (2ml). resulting in a smoother and more refined skin texture. This is the cutest product among this line because the jar is little. Nothing fancy but I find it cute for a jar! Aside from the gentle cleanser, this is the product that I'll be using for a long time mainly because this is only used during night time. I'm not so sure if this could be used during day time as well. I guess you can. I just haven't tried using it during day time. Although, this moisturizer doesn't have SPF (I think). This has got to be one of the best moisturizers that I have tried so far. I apply this at night and I can easily feel my face hydrated. The major plus is that my faces still feels hydrated and soft when I wake up the following morning. I honestly do not remember any moisturizer that did that to my face. 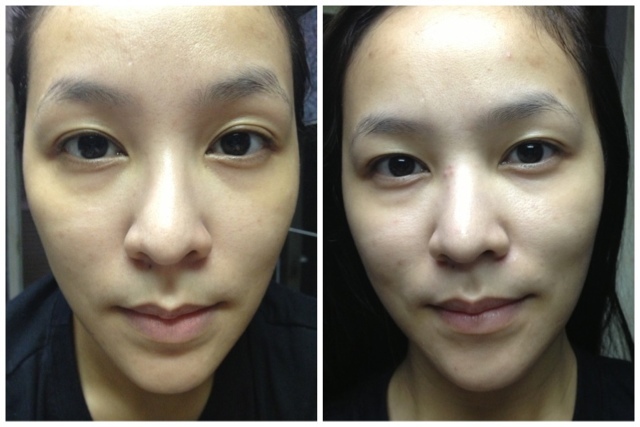 The photos side by side are the before and after photos of using Shiseido Ibuki. The first photo was taken last September 1st right before I washed my face. It was a weekend and I didn't have any makeup on. The photo on the right was taken on September 8 (one week after). Photos were taken inside the same bathroom under a fluorescent light. If you can tell from the photos, I didn't have any big blemish on my face. One week after using it though, 3 small pimples piled up on my nose line and pimples on the left side of my forehead. The first week of September was really hectic for me. I never had 8 hours of sleep. Max was probably 5-6 hours. Add the fact that our department was currently being audited so you can just imagine how stressful work was. There are factors as to how I got those pimples. It's either one of the things I mentioned or the fact that I started a new skincare regimen. However, if you compare the two photos, my face on the second photo is lighter. It does have a bit of a glow. Imagine how fairer and nicer it would look if not for those blemishes that I got. I stopped using the Ibuki line for about 4 days and used it again last Friday. My pimples didn't increase and the dark spots are slowly slowly fading. The pimple on my forehead is gone but the dark spot remained while the pimples on my nose line are still there but they're not as prominent anymore - just a bit of redness. Nothing a concealer can't hide. Overall, I find this skincare line okay. I can't say it's the best out there yet because I experienced having zits during the week that I roadtested it. But as I've said, several factors could have contributed to me having zits, too. 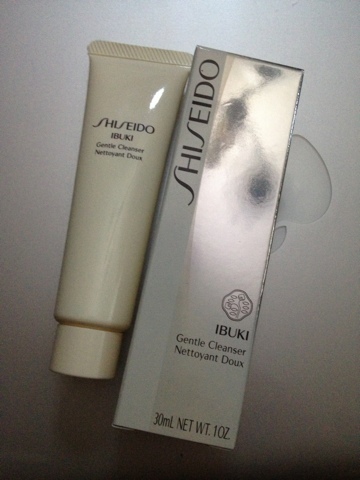 There is a product from this line that I extremely like which is the Purifying Cleanser because of the micro-granules. This skincare line made my face fairer in one week's time and I only used it during night time. Perhaps my face would be even fairer had I used it during daytime, too. I checked Shiseido Ibuki online and saw at Sephora that Ibuki has a daytime moisturizer with SPF. There are other two moisturizers for this line. I wish I had one of those moisturizers, too, so that I have one for daytime and one for nighttime! 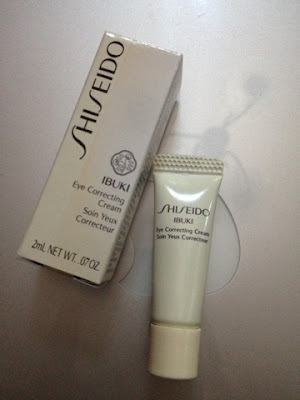 If you have tried Shiseido Ibuki skincare line, let me know what your thoughts are! I'd like to know! * Products were sent by BDJ Box. wow =) i saw this nga po sa sampleroom!